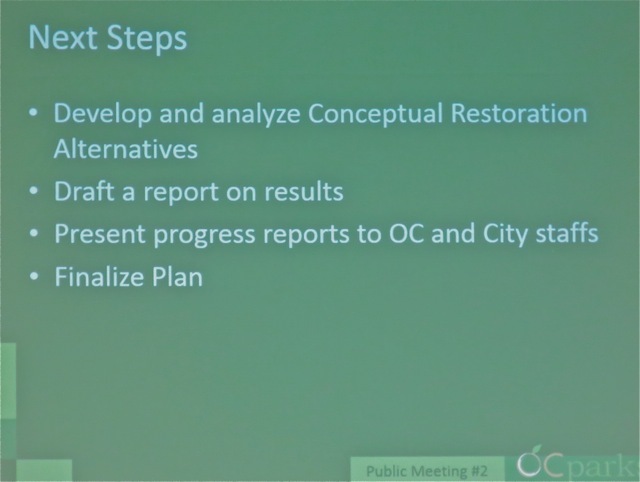 The Costa Mesa Planning Commission meets again on Monday, June 8, 2015 beginning at 6:00 p.m. in City Council Chambers at City Hall and this one is certain to be action-packed. You can read the agenda HERE. 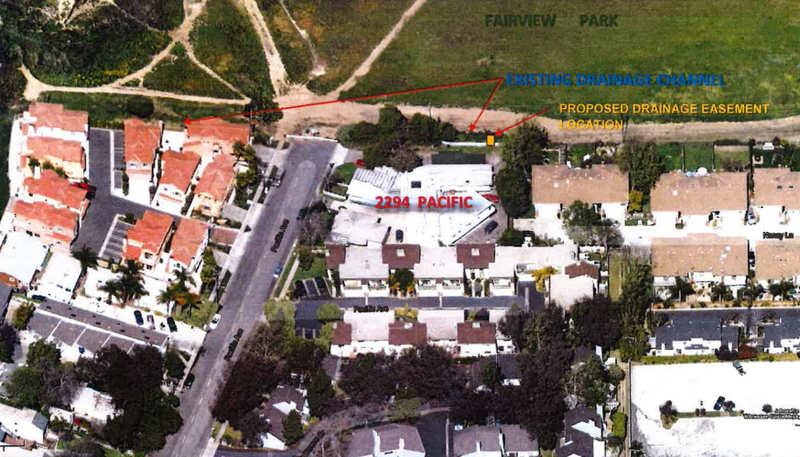 Item 3, the General Plan Conformity Resolution for a proposed drainage easement within Fairview Park in conjunction with a new residential development located at 2294 Pacific Avenue, HERE, might get yanked for separate discussion simply because it encroaches on Fairview Park. We'll see. 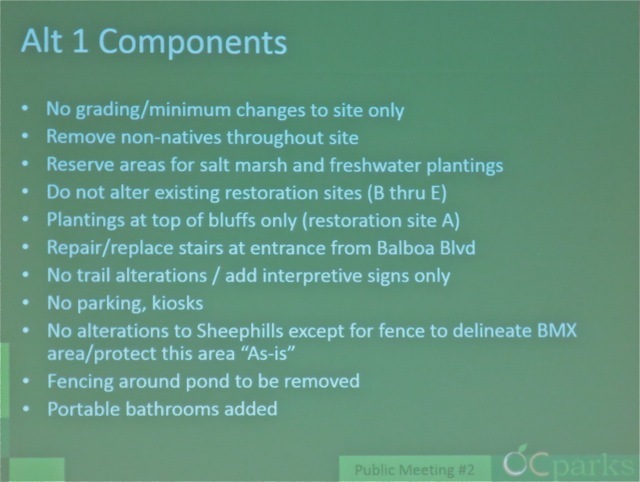 Item #4, HERE, which is titled, "Update from the Community Improvement Division", which sounds kind of bland and something most folks wouldn't get too excited about. However, when you click on the link for the staff report, it takes you to a document titled, "Group Home Ordinance No. 14-13 - Implementation Update Report", which is a whole different kettle of fish! In this 16 page report there is a lot to consider. For example, on page 16 - after lots of charts with detail, we are told that in Costa Mesa we have an increase of 134% in Sober Living Homes from 2014 to 2015! We have, for the same period, an increase in Number of Beds of almost 31%! So, yes... this report is probably going to require some conversation before the commission votes to receive and file it. Item #5, HERE, is the Comparison Matrix of High Density Residential Designations in Orange County Cities, and has some darn interesting data to chew on. The chart is arrayed in descending order by Units Per Acre, with Villa Park at 3 units per acre and Garden Grove at 60. The remaining 33 cities fall between those extremes, with Costa Mesa near the top (low) end of the spectrum at 20 units per acre. I suspect at least one of the commissioners and, more likely, members of the public, might wish to chat about these numbers since there has been recent vocal complaints about high density housing in our city. After all that fun we finally get to the meaty part of the meeting, the Public Hearings. 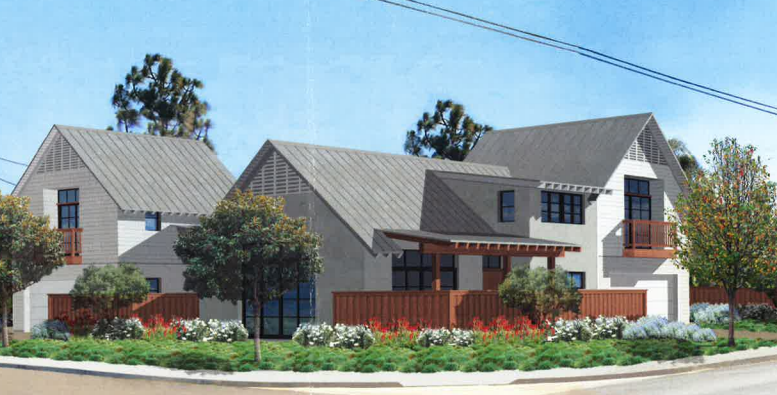 First one up is #1, HERE, resident Ann Parker's expensive appeal of the Zoning Administrator's approval of a deviation from parking requirements for a group counseling use at 657 W. 19th Street - literally a pebble throw from the Costa Mesa Senior Center. 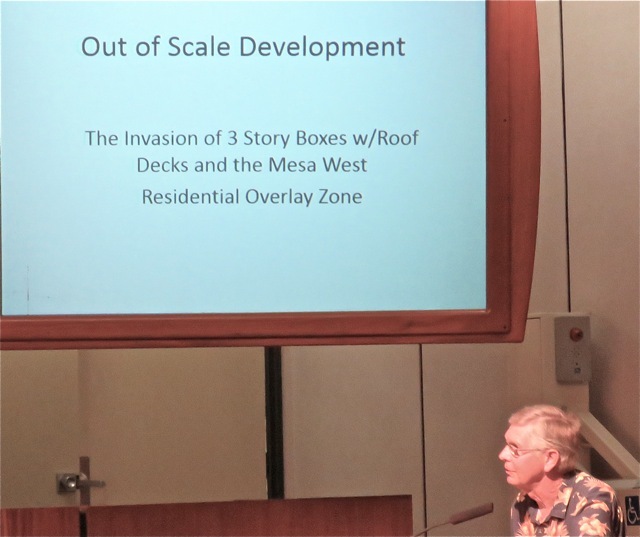 The Zoning Administrator approved a minor conditional use permit so the applicant - John Morehart - can allow his tenant to operate with only 24 spaces instead of the 67 required by code. 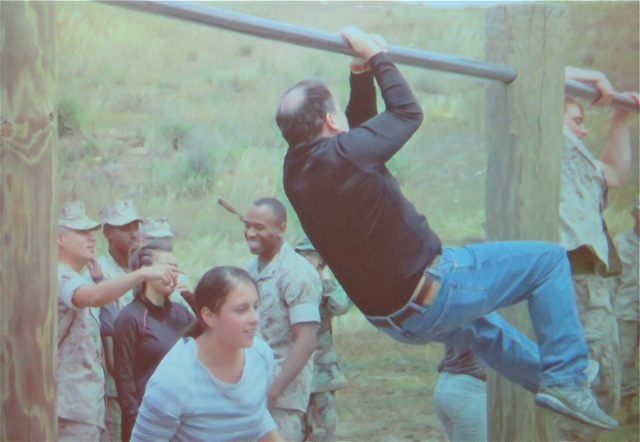 The business is occupied by Solid Landings, a recovery facility. This one will be VERY interesting. You might remember Mr. Morehart as the fellow who moved the Huscroft House to a site on Bernard Street and rehabilitated it. He has many other interests in the city. 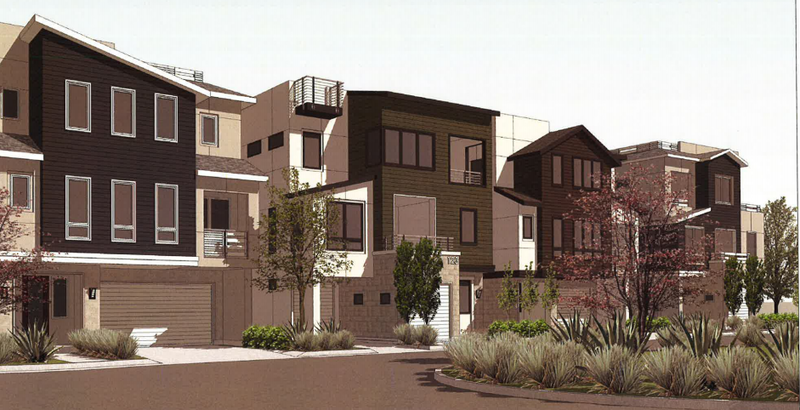 Public Hearing #2, HERE, is a Planning Application for yet another two-unit residential development at 1620 Orange Avenue that falls under the Small Lot Ordinance. 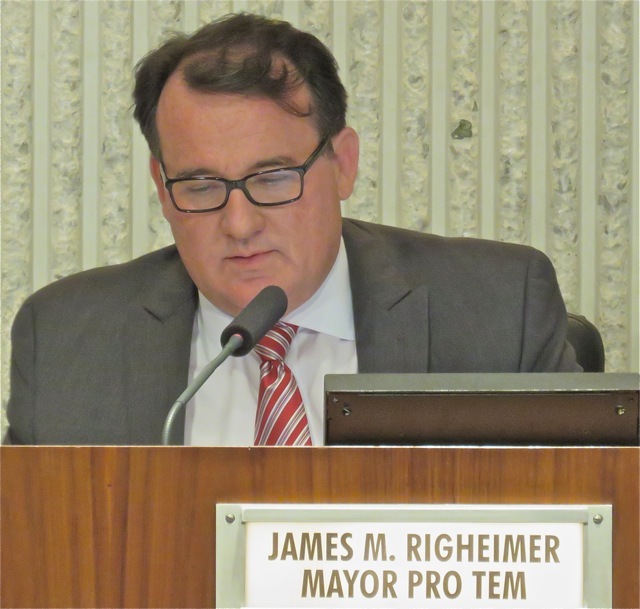 In another meeting this one might be considered controversial, but it will likely seem tame when compared to the other items on the agenda. Despite being covered by the SLO, the applicant is still asking for deviations in setbacks - precisely the kind of thing the SLO was supposed to avoid. Public Hearing #3, HERE, should be lots of fun! 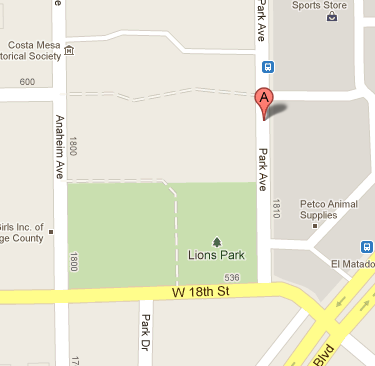 This is for Maison, the stealth night club for the notorious Roland Barrera to be located at the site of the former Lion's Den at 719 West 19th Street - half a block from the Costa Mesa Senior Center. You may recall that the City was alerted to the illegal, non-permitted renovations of this location by Barrera and his cohorts a few months ago and, as a result of that alert, the place was red-tagged and remains so to this date. 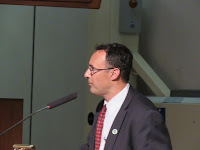 Basically, Barrera has thumbed his nose - or used another digital display of disdain - at the City and went about trying to open his place without permits or business licenses. In fact, the day of the red-tagging musicians showed up expecting to play that evening! It's going to be very interesting to hear whatever explanation this applicant might have for this behavior. 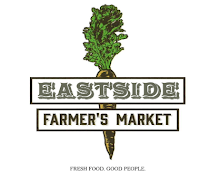 Public Hearing #4, HERE, is the Planning Application from a church, St. John the Divine Episcopal Church, to conduct a Farmer's Market in the parking lot from 9:00 a.m. to 3:00 p.m. on Saturday mornings, in the heart of a residential neighborhood. 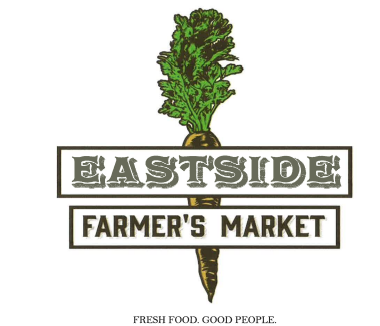 To do this they would rip out most of their landscaped area and replace it with 34 more parking spaces to accommodate the 15 vendor stalls. 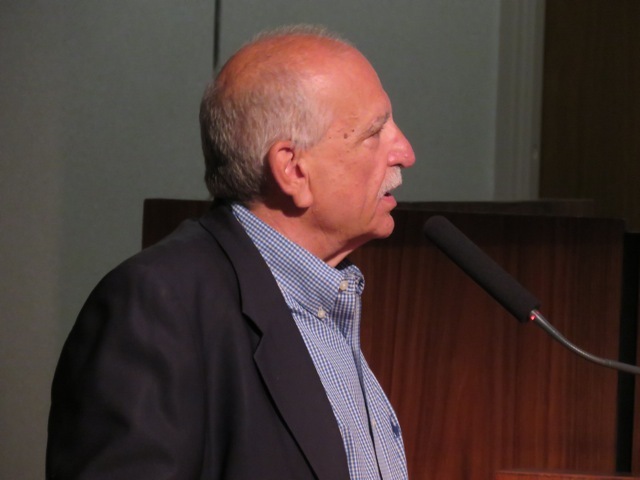 This request has many of the nearby neighbors up in arms because their neighborhood is already under siege from a proliferation of group homes and the meetings held for that demographic at the church. This is at the very busy corner of East Bay Street and Orange Avenue. While the title says, "Farmers Market" the staff report implies open-air bazaar, with all manner of food and second-hand merchandise - old bicycles, electronics, furniture and lawn and garden equipment - being peddled. It's easy to understand why the neighbors are upset. 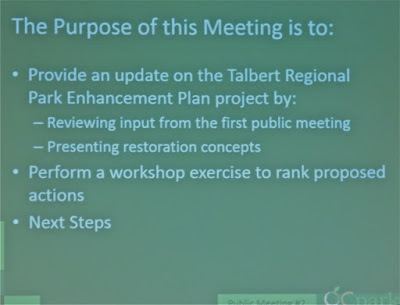 The second, and final, public workshop conducted by OC Parks and its consultant team for the gathering of input on the possible restoration of Talbert Regional Park was held last night at the Costa Mesa Community Center. 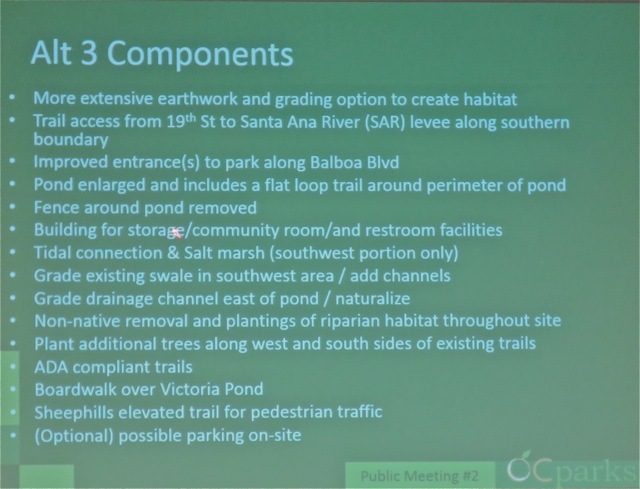 Approximately 50 people were in the room, including at least four members of the consultant team and OC Parks. As was the case at the previous meeting last fall, HERE, those in attendance tended to be some familiar faces - folks I've seen at similar meetings, including many of the Fairview Park Citizens Advisory Committee meetings while they were being held. 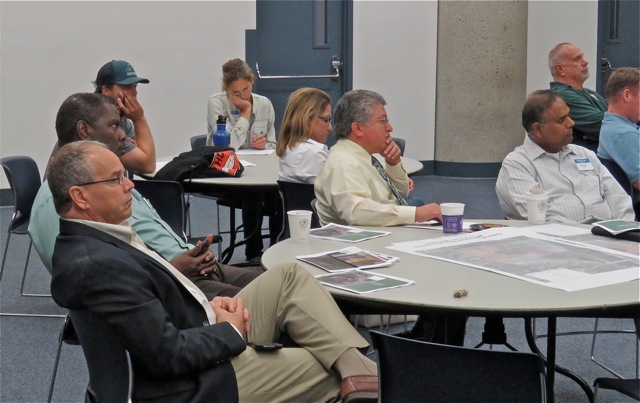 City staffers Assistant CEO Rick Francis, Director of Public Services Ernesto Munoz, Transportation Services Manager Raja Sethuraman and Parks Project Manager Bart Mejia attended. Parks and Recreation Commission Chairman Kim Pederson and members Bob Graham and Brett Eckles attended. In addition, councilwoman Sandra Genis, former councilwoman Wendy Leece and former councilman Jay Humphrey were in the audience and were active participants. 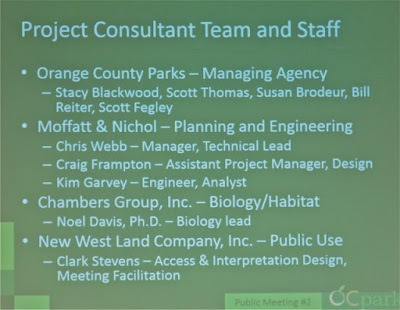 Chris Webb, Manager and Technical Lead from the firm of Moffatt & Nichol led off with an overview of the purpose of the meeting, the scope of work, an introduction of the team and a recap and summary of the previous meetings work. 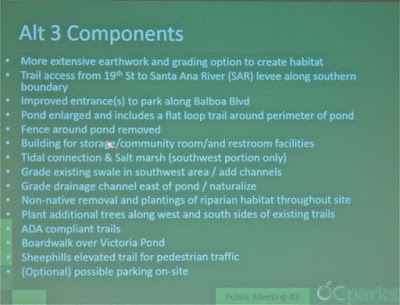 Craig Frampton, Assistant Project Manager, from the same firm, took over and guided us through a discussion of the four alternatives culled from the previous meeting and consultant/OC Parks meetings as shown on these slides, plus a short discussion of Tidal Connections. 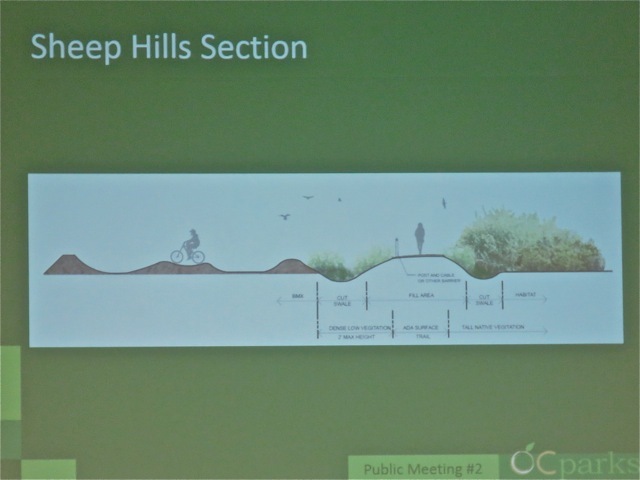 Then Clark Stevens, of New West Land Company, Inc, spoke of the public access elements of this plan. 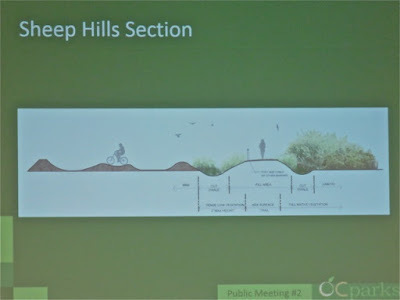 His presentation included a discussion of the Sheep Hills section of the park - where BMX bicyclers dominate the terrain. 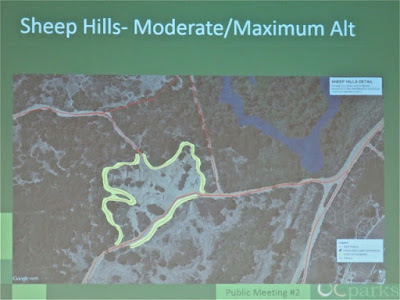 The plan would be to build a berm around that area to isolate and protect those folks and to clearly prescribe where that kind of activity is permitted. He also discussed the configuration of the many trails, the alternatives for Victoria Lake and other elements. I've only included a few of the slides used in the discussions. 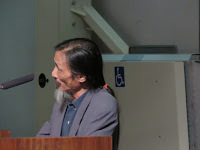 The presentations were thorough and informative. 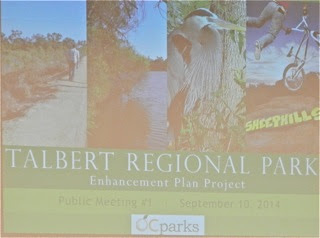 Susan Brodeur of OC Parks was on hand to answer questions, too. 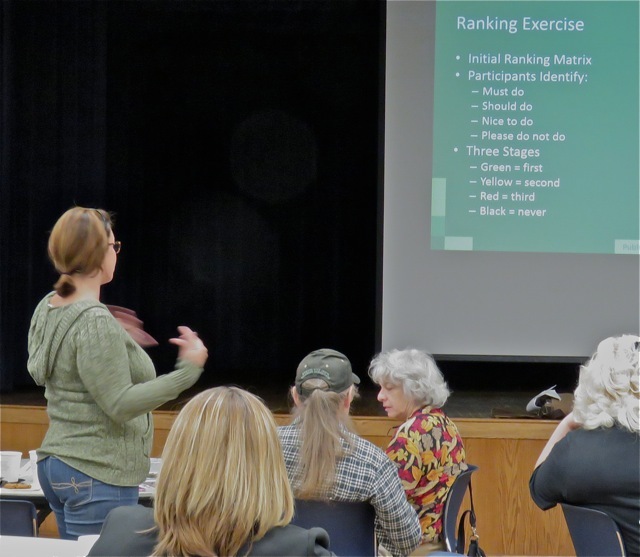 We then participated in a "ranking exercise", in which all the attendees were asked to use the materials provided and to rank the various components as "Must Do", "Should Do", "Nice to Do", and "Never", for each of the alternatives. As I wandered around during this process I noticed an interesting array of variations on this process. 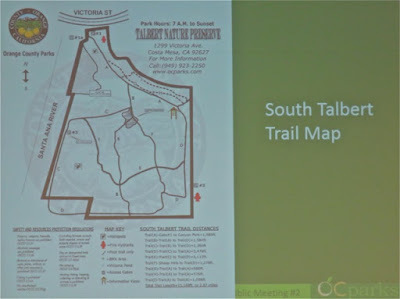 Later those forms were collected and the information will be compiled and a report prepared further distilling the public preferences for this segment of Talbert Park. Several of the attendees commented about this particular exercise, indicating it was probably too complicated. Several strayed from the preferred method and simply provided specific input on items that were important to them. The meeting ran an hour long because many participants had good questions for the discussion leaders. Folks were concerned about, among other things, the probability of the need for increased police presence in an enhanced park. 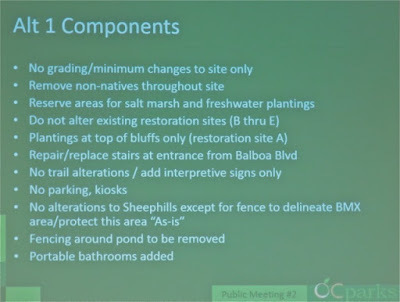 And, Banning Ranch was brought up a couple times, so a question was asked about possible relationships by the consultants with the folks at the Banning Ranch developers. We were told none exists. 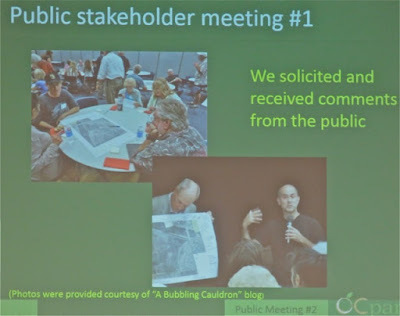 Concerns were expressed for the Costa Mesa Sanitary District Pipeline that is planned for that general area. 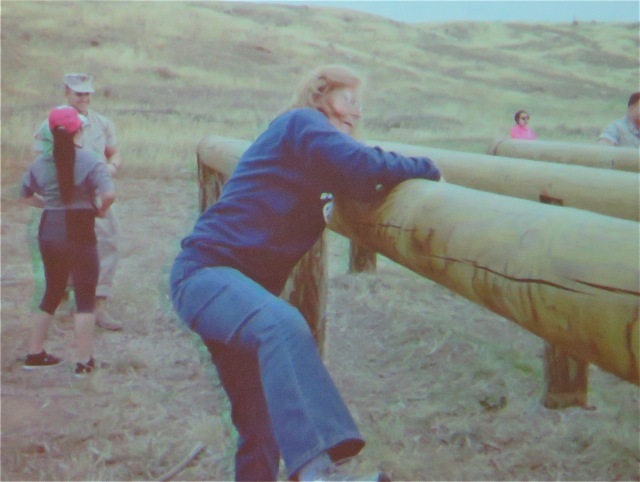 It was explained that the pipe would be much lower than the bottom of the area of concern. 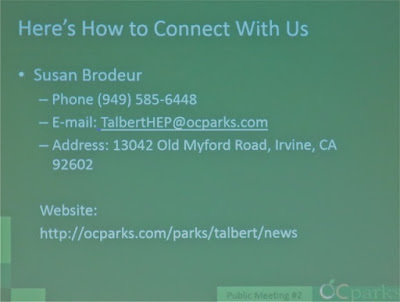 The report will be posted on the OC Parks website, HERE, which is the web address shown on this slide. 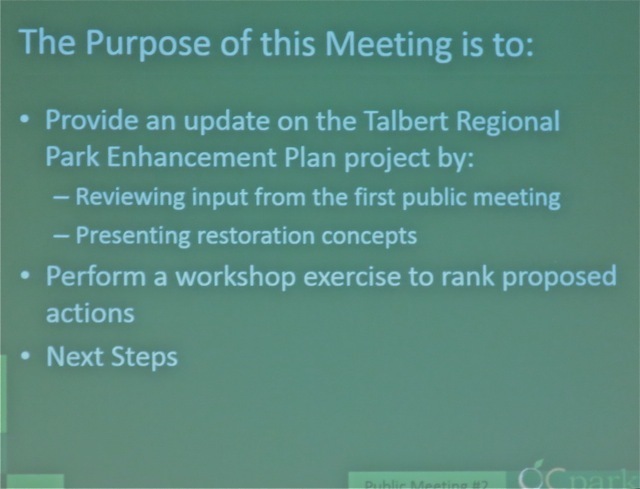 Some may recall I wrote about the last workshop on the restoration of habitat at Talbert Regional Park last summer, HERE. 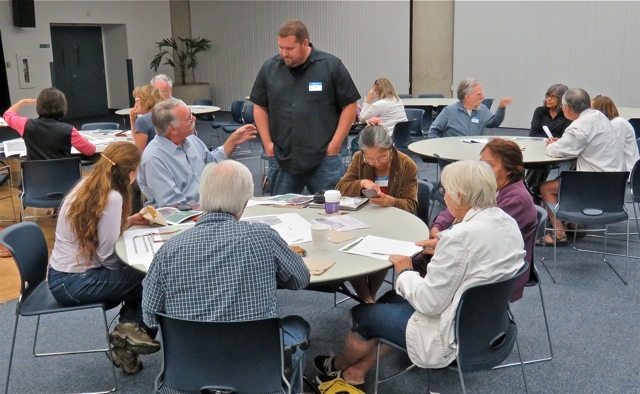 Well, OC Parks is hosting another such event tomorrow, Thursday, June 4, 2015 at the Costa Mesa Neighborhood Community Center, 1845 Park Avenue (Lions Park) from 6:30 - 8:00 p.m. 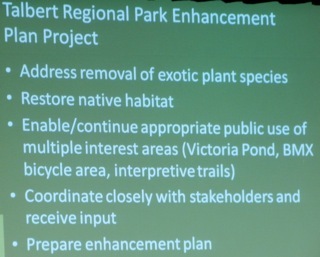 According to the information I have on this event, consultants for the Habitat Restoration Plan will be facilitating the workshop with the team of experts developing this plan. 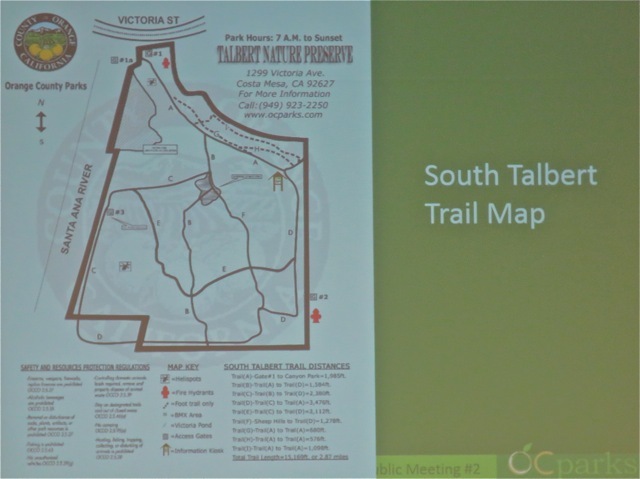 The hosts welcome everyone interested in the future of Talbert Regional Park to this workshop to share and learn about the plans. 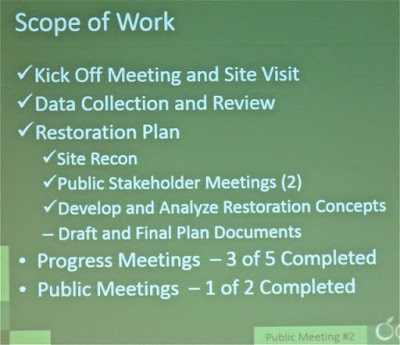 The team will present the restoration plan concepts and the results of the analyses that were initiated at the previous workshop last September and continue to solicit input on the elements of the restoration plan. 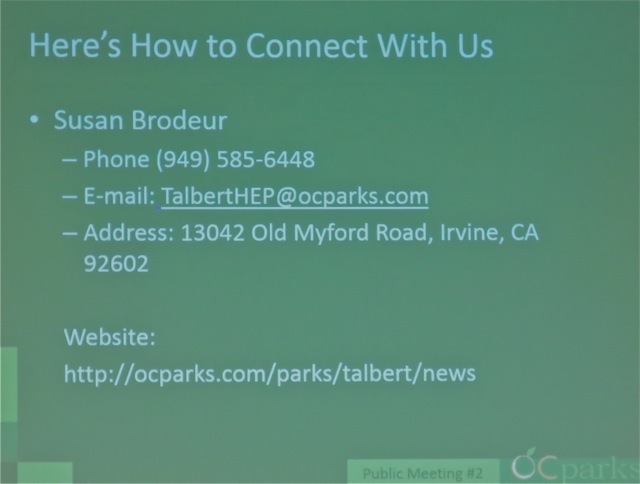 According to the information provided, OC Parks encompasses regional, wilderness and historical facilities, as well as coastal area throughout the County of Orange in California. OC Parks is committed to managing land and facilities in a way that maximizes their enjoyment by the public, while properly maintaining and overseeing them so they are available for generations to come. 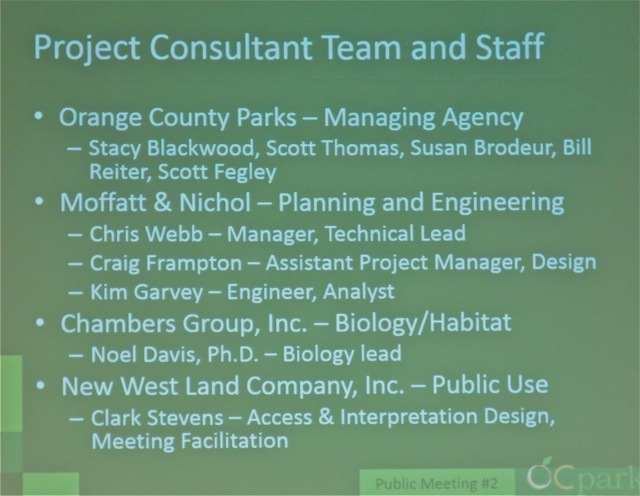 The consulting team is composed of Moffat & Nichol, New West Land and the Chambers Group, Inc.
OK, let's get right to it... I was right on the money last night! 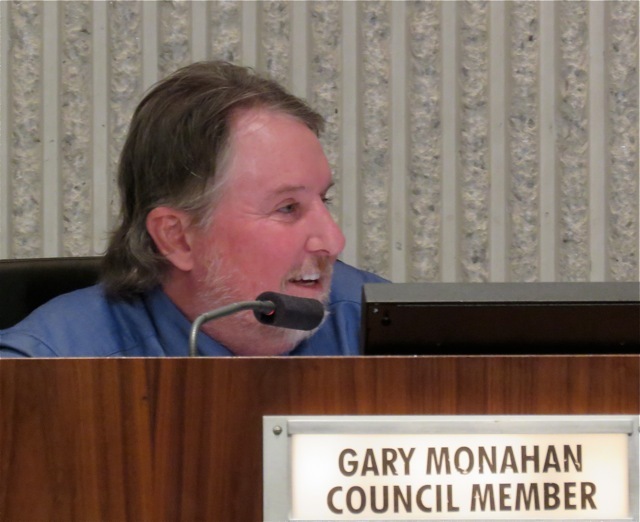 The Costa Mesa City Council meeting lasted until 9:52 p.m., so we got out of there before 10! 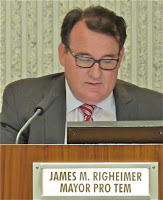 And, to demonstrate the precision with which I called the evenings events, Public Hearing #1, the re-authorization of the Business Improvement Area, took less than 60 seconds from completion of the reading of the item until the vote was taken. I told you not to blink! Sorry, the euphoria of an early meeting got the best of me, so I just couldn't resist that little bit of gloating. To serious matters now. 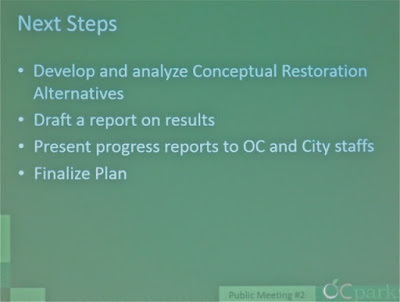 At the beginning of the meeting contract City Attorney Tom Duarte reported out from the earlier Closed Session that item #3, the lawsuit between the Costa Mesa City Employee Association (CMCEA) had finally been settled and the council accepted the settlement on a 3-1 vote. Gary Monahan voted NO, but didn't tell us why. 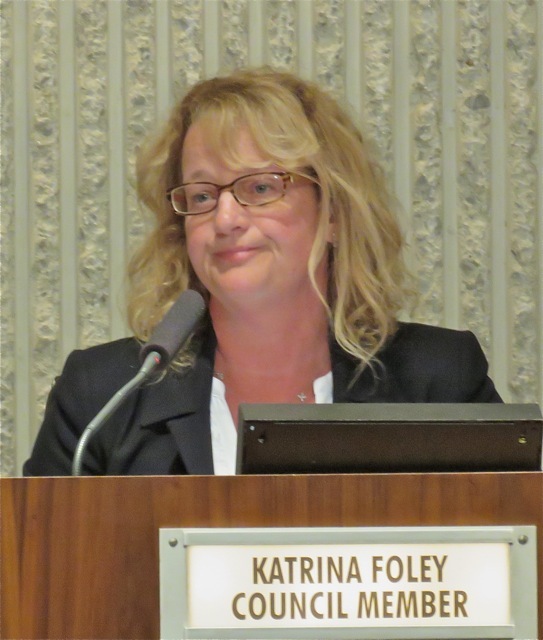 Katrina Foley was absent. 1 - The CMCEA dropped their opposition to the outsourcing of Jail operations. Nobody had been layed off. All employees involved were placed in other jobs and, if necessary, "Y" rated - kept their old pay rate. 2 - It was agreed that Street Sweeping could be outsourced, due in great part for the need to purchase very expensive equipment. 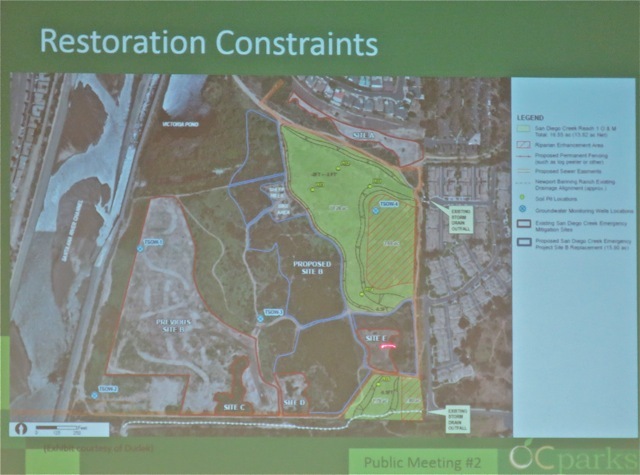 3 - Park Maintenance would be outsourced in the future, but won't start for 2 years. A minimum of 6 employees will remain to oversee elements of that contract. No employees will be layed off, but the placement in alternate positions will commence soon. 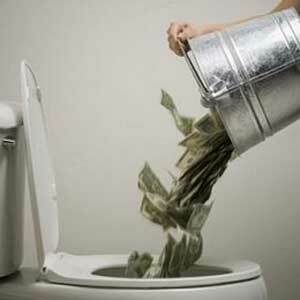 4 - The City agreed to no more outsourcing for 4 years and agreed to pay $375,000 in CMCEA legal fees. 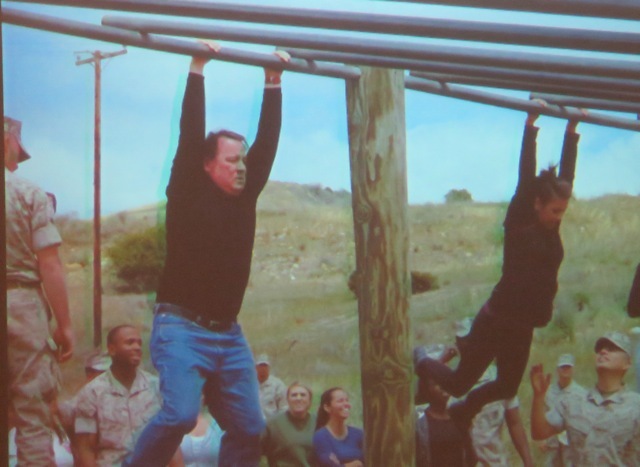 5 - The CMCEA employees will receive a 4% raise in July. 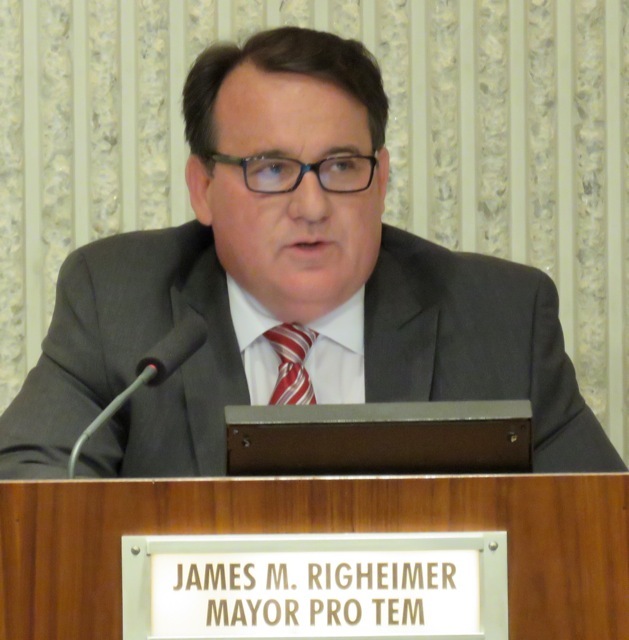 Righeimer said this is all subject to the COIN ordinance, which could take at least a month to get sorted out because of the requirements of independent fiscal review and hearing by the council in two consecutive meetings. He mentioned the emotional battles that had been involved and said it's time to put this issue behind us. I wonder how the family of Huy Pham feels about that. 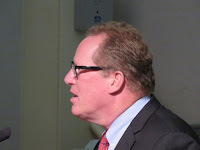 What he didn't tell us was that this fiasco HE started with HIS bogus attempt to lay off half the CMCEA staff more than 4 years ago has cost the taxpayers of this city more than $1.96 million in legal costs to law firm Jones Day alone, plus the aforementioned $375,000, for a total of $2.33 million. And that does not account for Jones Day fees since March - the last date information is available - nor does it account for the costs associated with Jones & Mayer for their part in managing this process. I'm guessing this mess will end up costing us more than $2.5 million in UNNECESSARY legal costs before it's all done. But then, that's just a cost of doing business when you try to run a municipal government like a business, I guess. 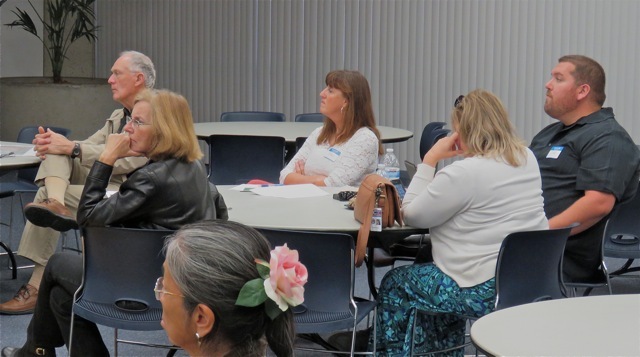 Following the Costa Mesa Minute, shortly after 6 p.m. Costa Mesa High School Principal, Dr. Jacob Haley, gave a presentation on the Signature Academies at the four Newport-Mesa Unified School District high schools. 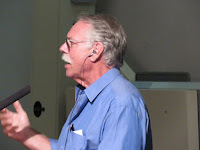 I'm not going to try to give an in-depth recap of his presentation - information about the various academies is available at each of the school web sites. Suffice it to say that there are forward-thinking advanced academic opportunities for all students in the Newport Mesa schools. 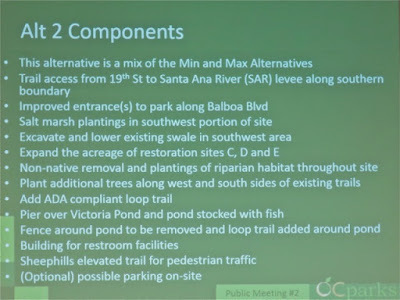 Next up were presentations by the general managers of the two water districts which serve Costa Mesa - the Irvine Ranch Water District and the Mesa Water District. 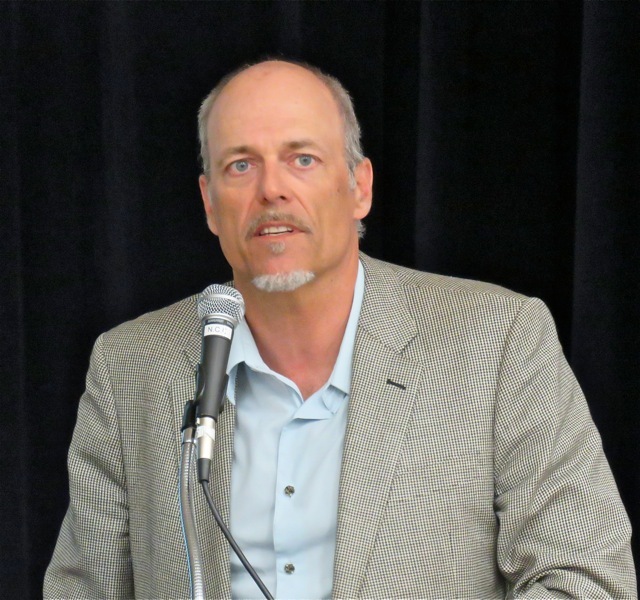 Paul Cook of the IRWD gave his presentation first, and spoke of the demands by State government to reduce water use significantly. 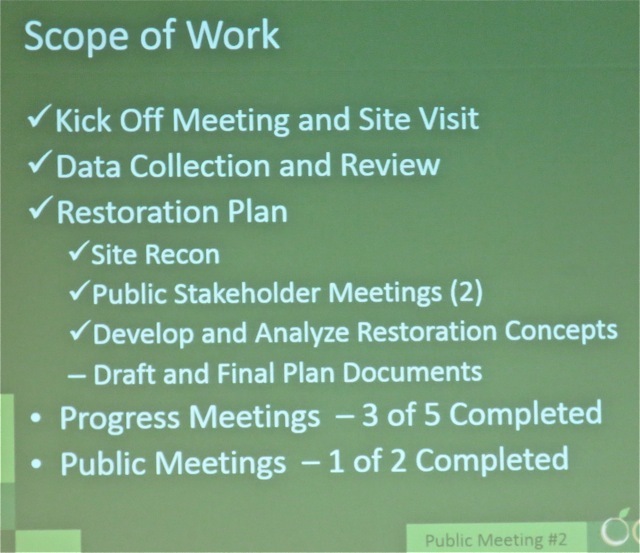 IRWD's goal is a 16% reduction district-wide, and he gave some information about how that might be accomplished. He told us that 50% of their water is used outdoors and that the allocation for indoor use is 50 gallons per resident per day. 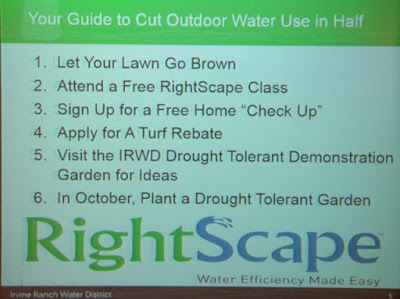 He spoke of the use of drought-tolerant plants and mentioned tiered pricing to discourage excessive use. In response to council member questions he acknowledged that they will work with rate-payers on potential problems. 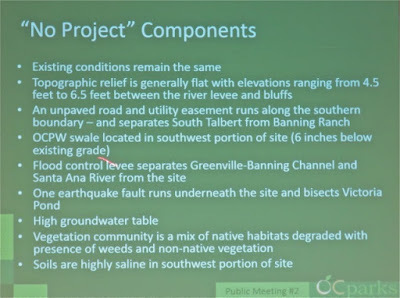 Paul Schoenberger, from Mesa Water, gave a similar presentation. He mentioned their recent board meeting at which more than 100 people showed up to get information before the vote was taken. You will recall that I didn't attend that meeting because of the traffic jam in the parking lot. 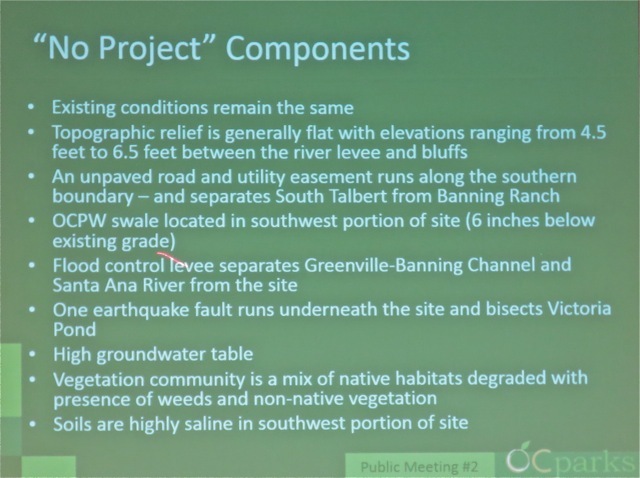 He told us that, even though Mesa Water is 100% locally self-sufficient, they are still required to demonstrate conservation district-wide. 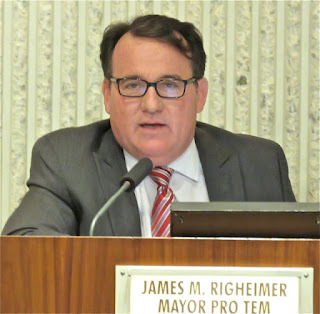 He spoke about the cards mailed to all rate-payers outlining the issue, and that the district's goal is a 20% reduction in the distribution of potable water district-wide. He said they had budgeted for that level of reduction, so no rate increases were anticipated due to the reduction of water use. 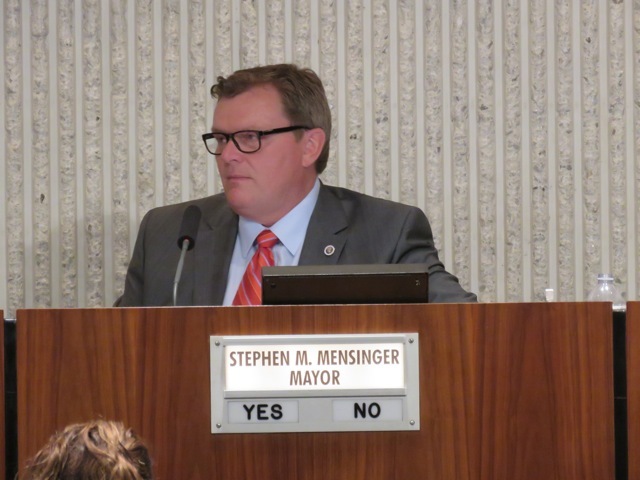 Mensinger told him that "some people" were saying that there will be fines for excessive water use (that would be me), and it sounded like he wanted Shoenberger to deny it. Instead, he affirmed that fines were, indeed, possible after a couple warnings - EXACTLY as I stated earlier. 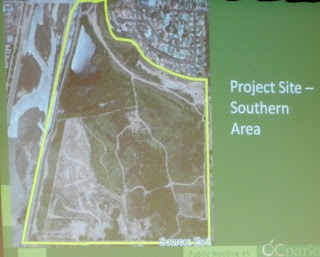 He also confirmed that they had hired more people to monitor water use and provide citations where necessary. 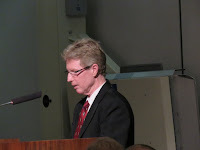 He also affirmed that the last time there was a similar water emergency the community responded by reducing use by 20%. He stressed the rules apply to everyone. Then Bruce Hartley, Maintenance Services Manager for the City of Costa Mesa, stepped up to address what actions The City is taking in light of the drought. He mentioned that The City was Mesa Water's #2 user and spoke of the various recently completed water-saving projects throughout the City. He plans for a 20% reduction overall. Although the City has 160 individual meters, Mesa will consider us ONE user. Water use will be diminished in all areas except those using non-potable water. Signage will be placed in large public areas describing either why the areas are going brown or why they remain green. In response to a question by councilwoman Sandra Genis, he said, No, we won't get "credit" for the recently completed percolation project at Lions Park. Based on Hartley's report, it appears that The City is on top of this issue and brown lawns around town will demonstrate that fact. 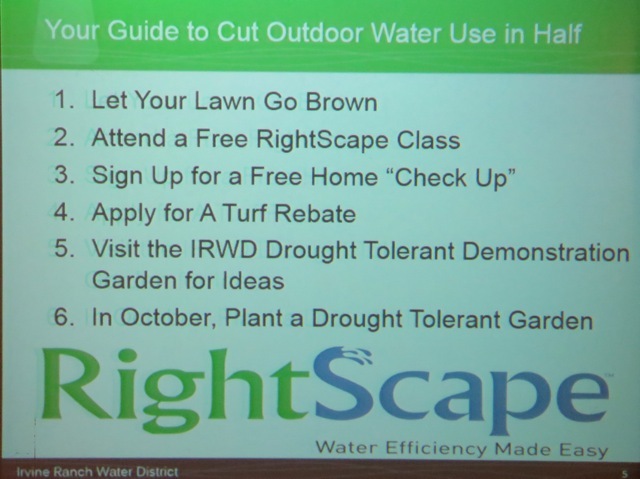 Interestingly, NO mention was made about whether Code Enforcement is going to be cutting residents slack on their brown lawns - right now you are required to keep them green or be fined. 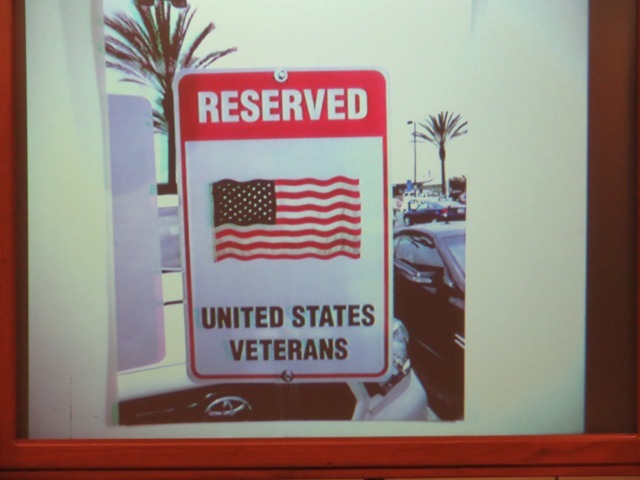 Next was a non-agendized presentation by Nick Beraradino, retired Marine, former General Manager of the Orange County Employees Association and a member of the Fair Board. He explained the creation of Heroes Hall at the Fairgrounds, to honor United States Veterans and mentioned that the Fair Board had donated $1 million to the effort. 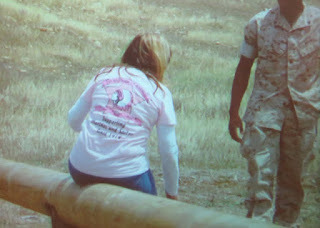 He also mentioned that the OCEA donated $25,000. He was looking for a donation by the City. Mensinger and others on the dais expressed support for the idea and asked Hatch to bring back a staff report soon. Finally, at 7:10 - ten minutes past the time when Public Comments are supposed to cease - they began. There were 30 speakers cards, so a time limit of 45 minutes was given for the first batch and the remainder were trailed to the end. Seventeen (17) speakers squeezed their comments in before the door was slammed at 8:00 p.m.
Dan Worthington suggested a special parking sign be created for veterans. Chuck Perry liked the improvements on Pacific Avenue, suggested moving the airplane at Lions Park and creating a soccer field and again asked for more bus benches on 17th Street. 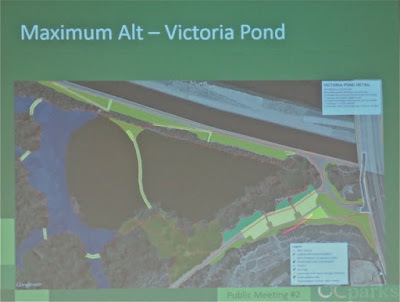 Barrie Fisher complained about the landscaping along Victoria Street. 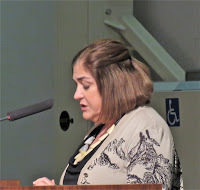 Gay Royer expressed concern that elderly folks - like one of her neighbors - may not get the word about water conservation. 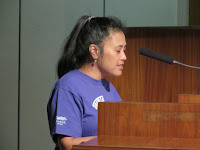 Diane (didn't get her last name) spoke about Alzheimer's Disease. Karl Ahlf spoke of tagging. Lee Ramos gave a slide show of areas of the City - I'm not sure why. Laurene Keane lectured the council on leadership. 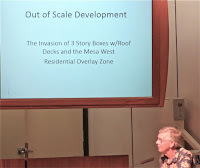 Rick Huffman gave a slide show of "Out Of Scale Development". Mary Spadoni complained about homeless folks being referred to as vagrants and complained that we're not doing enough for homeless folks. 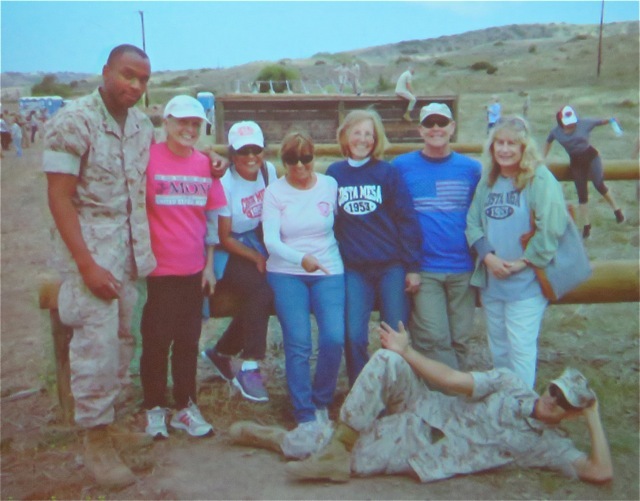 Beth Refakes gave us a slide show of the Military Affairs Team at Camp Pendleton, going through exercises. Greg Thunnel stressed public safety budget priorities. Robin Leffler complained about the lack of a forensic audit for the 60th celebration. She described it as a "Packet of Pus" - a great image! Ann Parker read a Mensinger quote from a Daily Pilot article. Mensinger interrupted her, then later chided her. 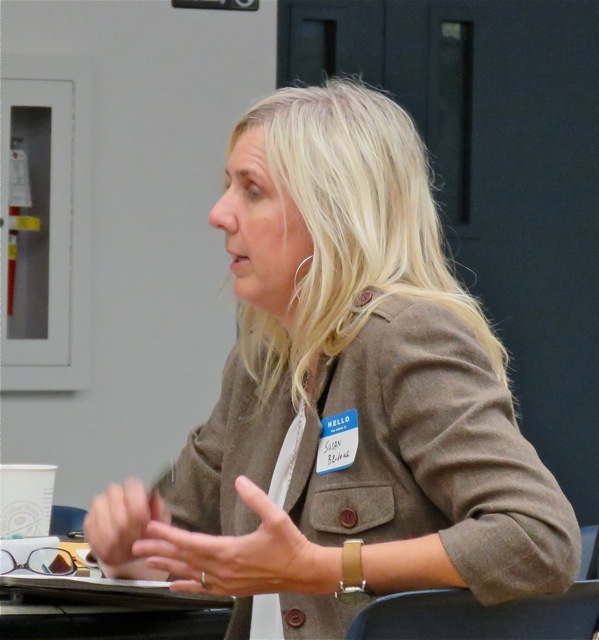 Joan (I didn't get her last name) addressed the budget workshop, and stressed priorities. Wendy Leece suggested we return to the days of "Living Room Dialogues), stressed the need for a strategic plan and also suggested that the Fire Department 17 Point plan needs attention. 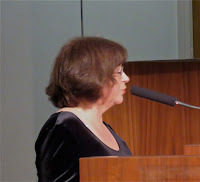 She was the final speaker at this time. This segment stopped at 8:00. Foley had arrived at the end of this segment. Genis led off with her take on the 1/5 Marines generous offer of that outing. She thanked the Freedom Committee for the Memorial Day festivities and the Lions Club for the Fish Fry. She observed about the fatal stabbing in her neighborhood last weekend. She also expressed concern about pesticides on City property. the Daily Pilot cup, which has grown to 2,200 kids and told us that on Thursday, June 4th, there will be a meeting on the future of Talbert Park at the Neighborhood Community Center at 6:30 p.m.
Righeimer said he watched all 3 1/2 hours of the Budget Workshop and complained that people who spoke there and got answers from staff then came to the council meeting with the same complaints. He said this is "not a 3-piece band - It's an orchestra." and told us we just don't understand. Really? Well, we DO understand, Jimbo, and we don't like what we're understanding about how you operate. Mensinger thanked Berardino and Chief Ron Lowenberg for his service to our city. 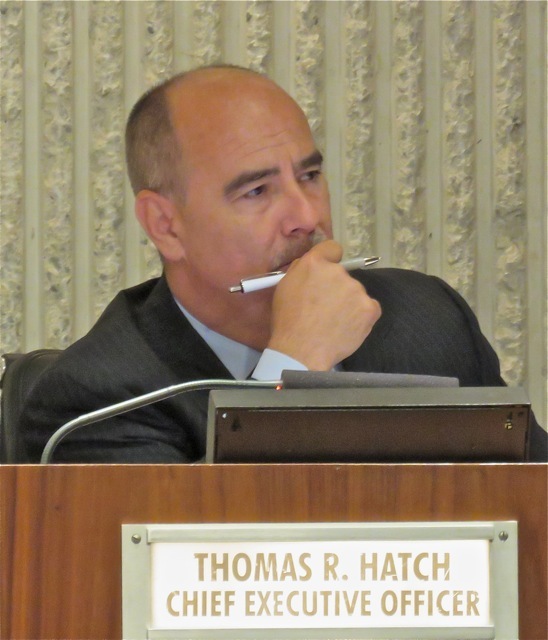 He observed the new Police Chief, Rob Sharpnack and mentioned that he was the first internally promoted Chief since Roger Neth. He then tossed a grenade in Sharpnack's lap when he announced that he, Sharpnack, would be attending next Sunday's edition of "Meet the Mayor" at City Hall. He acknowledged that Sharpnack had no notice about that announcement. Yep... he snaps his fingers and expects everyone to immediately jump! He also told us he watched the Budget Workshop Video, which can be viewed HERE. Then Mensinger turned it over to Hatch, although he almost forgot again. It tells me something when he consistently forgets he has a CEO... you can draw your own conclusions. 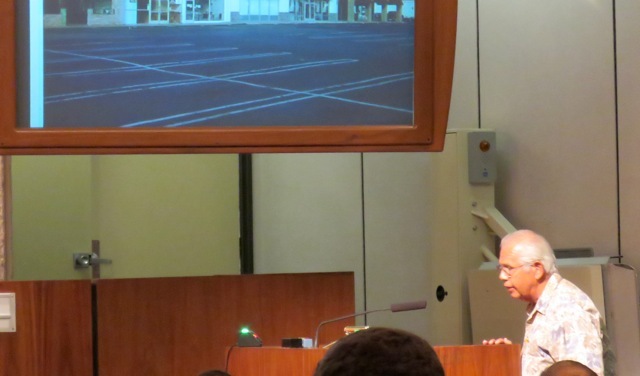 Hatch spoke about that Budget Workshop, describing it as a meeting of about 25 residents and a large cadre of staff who engaged in "spirited discussions" and will provide a follow-up report on the meeting. He also observed that folks had asked about the status of Vacancies, so a Vacancy Report will be prepared later this week and will be produced on a regular schedule in the future. He spoke about the recent boondoggle to Las Vegas the ICSC meeting, telling us there had been 190 contacts, 14 follow-up meetings and 3 tours and post-conference meetings with interested parties. 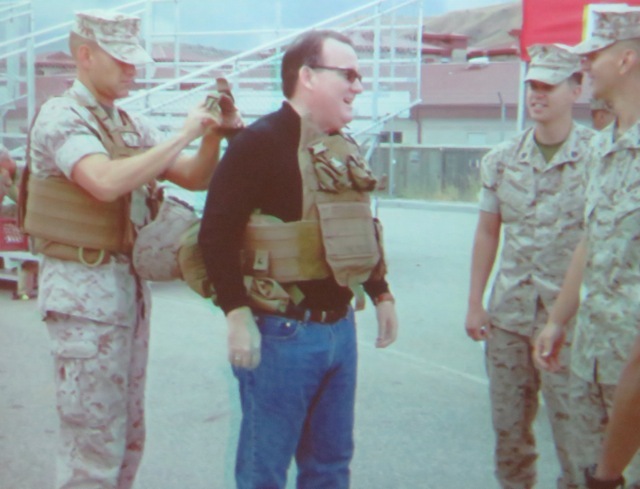 He thanked Chief Lowenberg and announced there will be a little good-bye party for him soon. 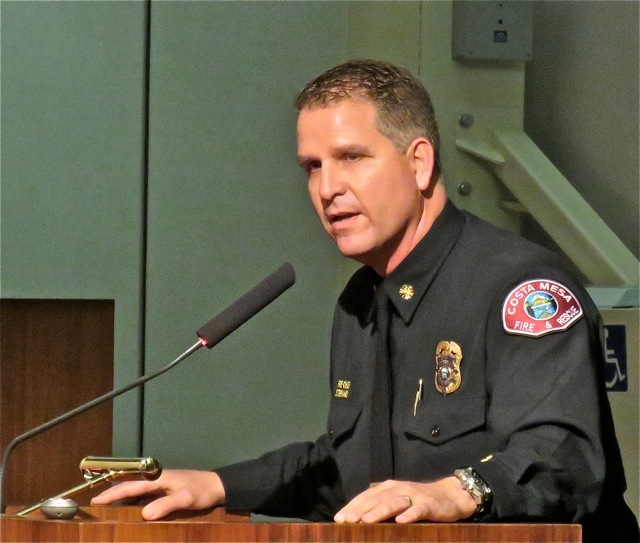 The last Interim Chief - Steve Staveley - didn't have one. He also announced that there will soon be an offical badge pinning event for new Chief Sharpnack. We presume that won't happen during the Meet The Mayor event on Sunday. He then had Fire Chief Dan Stefano introduce a new video regarding Hands Only CPR. It was a very clever piece put together by the talented folks at Costa Mesa Television. We were told it will be available for viewing on the City website. 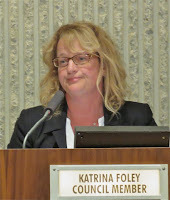 Katrina Foley then gave us HER take on the Vegas trip, which she also attended. She suggested that there was not enough value to the trip since most of the people who expressed interest were from the local area. She suggested an Open House instead of traveling hundreds of miles. She was highly complimentary of the performance of the City staff who attended - Gary Armstrong, Dan Baker and Kelly Shelton. Genis also commented on the CPR video, and suggested that first one should check for a pulse before starting those chest compressions. 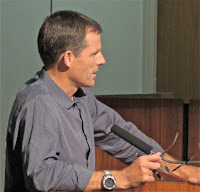 At 8:30, after a "three minute break" called by Mensinger, the meeting re-convened to begin the actual "Business" part. 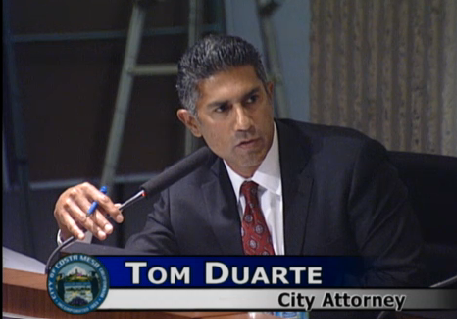 As mentioned above, Public Hearing #1 took about a minute, passing, 5-0. 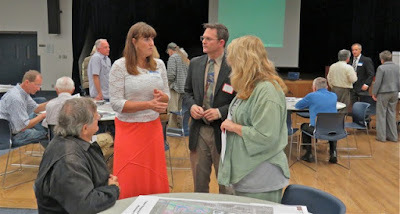 Public Hearing #2, the vacating of a strip of land on Fullerton Avenue took about twenty minutes - longer than I anticipated - because of questions from residents and Foley about the process. It passed, 5-0. 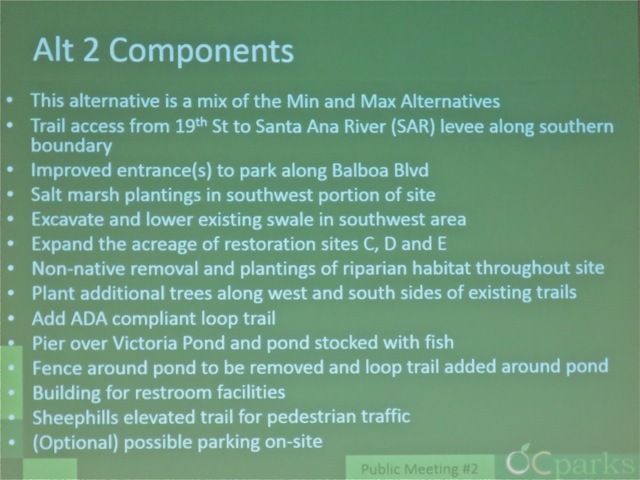 Old Business #1, the Second Reading of the development proposal at 1239 Victoria took only five minutes, with resident Gay Royer expressing extreme concern about traffic on Victoria at that location. The result of the vote, 3-2, with Foley and Genis voting No, was the same as the first time around. Genis expressed that the project was too dense for the location. At 8:55 we arrived at New Business #1, the appointments to three committees. Three people spoke during the Public Comments segment. 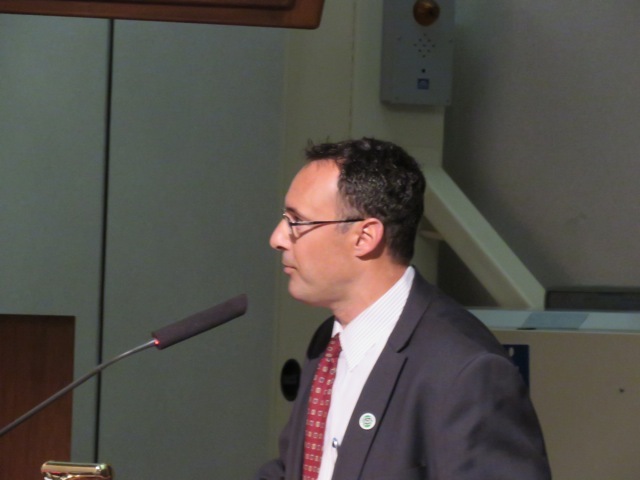 Andrew Barnes - a new speaker - expressed concern about the petulant behavior by council members at previous meetings. 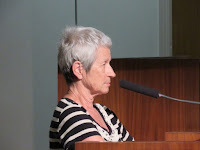 Wendy Leece suggested that ONLY residents be considered for the committees. 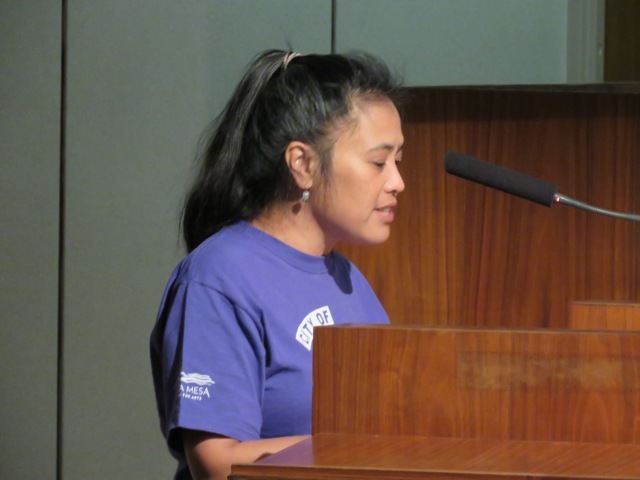 Cynthia McDonald spoke with eloquence about the value of residents on committees, and told the council that candidates shouldn't be considered for the skills and expertise of family members. 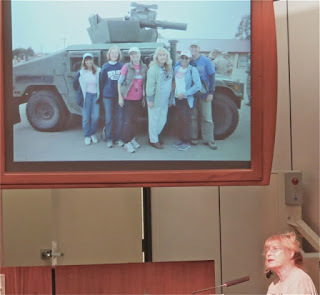 My short-hand version of her three-minute presentation doesn't begin to do it justice. Then the selections began. Righeimer nominated Bret Rosol for the Traffic Impact Fee Ad Hoc Committee and he was selected on a 4-1 vote. 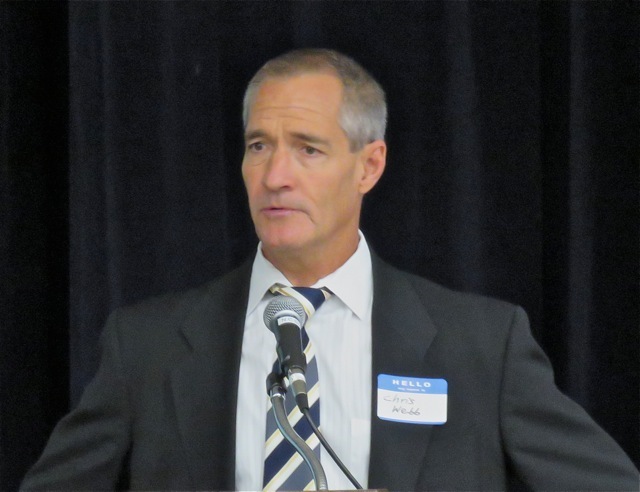 Foley voted No. Next up was Foley's nominations for the Bikeway and Walkability Committee. They took the votes in two steps, first voting, 5-0, to increase the committee to 17 members from 15 and the two additional members would be appointed by the Newport-Mesa Unified School District and the Chamber of Commerce. Then she nominated two individuals for two open slots on the committee. She first nominated Brian Valles, who was chosen on a 5-0 vote. She then nominated Cynthia McDonald, who was also selected on a 5-0 vote. 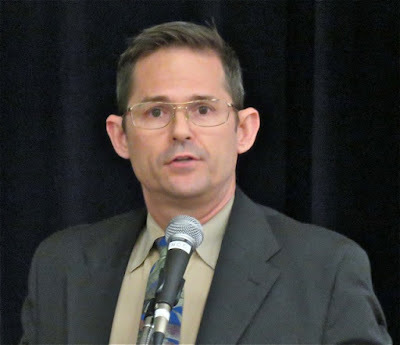 There was NO move to try to appoint Brent Stoll, the young man from Santa Monica who had been erroneously appointed the first time around. Then came the items pulled from the Consent Calendar, #6, #7 and #9. 6 and 7 were considered together. Genis had pulled them. Item #6 was a quick vote, 5-0. #7 generated more discussion. The controversy dealt with the costs of providing Police coverage for events at the OC Fairgrounds throughout the year. Foley wanted more information. 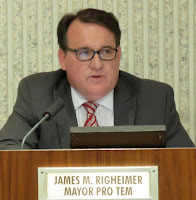 Righeimer didn't see the need and expressed concern that our fees would be too high and we would chase events away. He referred to a couple years ago when the fees were actually lowered. Foley wondered about the OC Marathon... Righeimer's buddy, Scott Baugh, is involved in that event - a for-profit event. The suggestion was made that we shouldn't be subsidizing for-profit events so they can make more money. A motion was made to pass it. She made a substitute motion which was defeated, 2-3, boys against the girls. The original motion eventually passed. 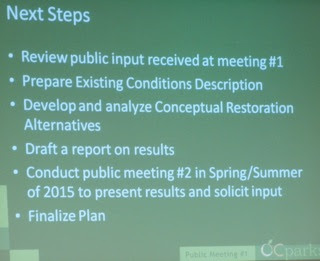 At 9:35 we resumed Public Comments. Andrew Barnes again spoke, complaining about three young men smoking marijuana while parked the wrong direction at his home. Police were called and apparently found they had medical marijuana cards, so turned them loose. Stephen Chan spoke on the Roland Barrera night club item that will appear on the next Planning Commission agenda and was concerned about the precedent it might set for bars converting to nightclubs too close to residential areas. He suggested it be shoved out until the issue could be studied. 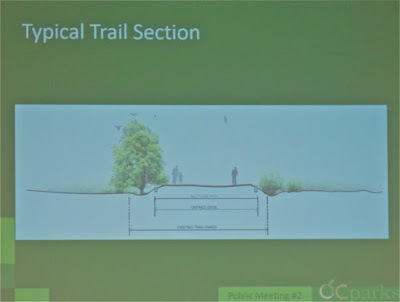 pathway/bioswale along Arlington Drive adjacent to the Fairgrounds is a bad idea from a traffic standpoint and potential for injury and/or death to people using that area. Jay Humphrey expressed concern about the Veterans Center problem, then addressed the budget, citing the need for different priorities. 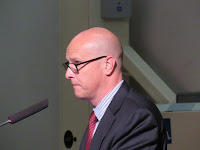 He suggested, contrary to what Mensinger had said earlier, that the budget was not all that complex and that he had similar documents when he was on the council earlier. He expressed the need to re-evaluate the police staffing levels. Flo Martin expressed the need to re-prioritize CDBG funds to better support homeless folks. 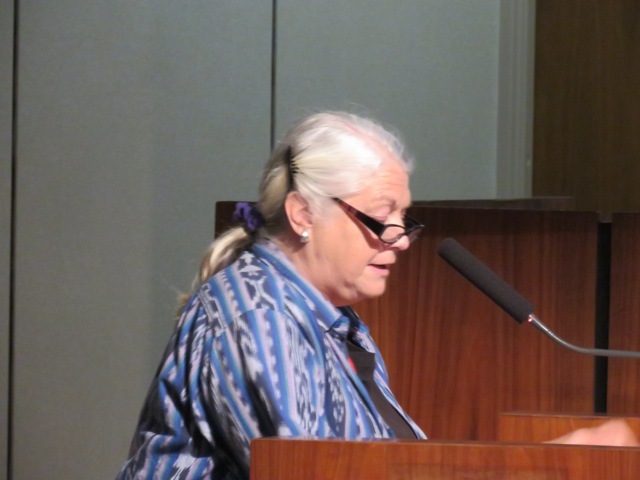 Teresa Drain, once again, expressed her demand for a Forensic Audit of the 60th Anniversary Celebration and cited Bid Rigging as one example of the issues that needed to be studied. 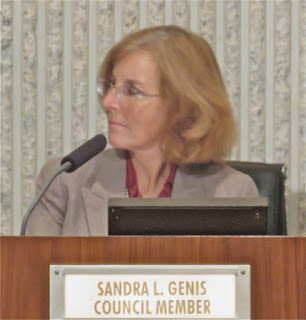 She gave a specific example and reminded the council that this issue was a Federal crime. 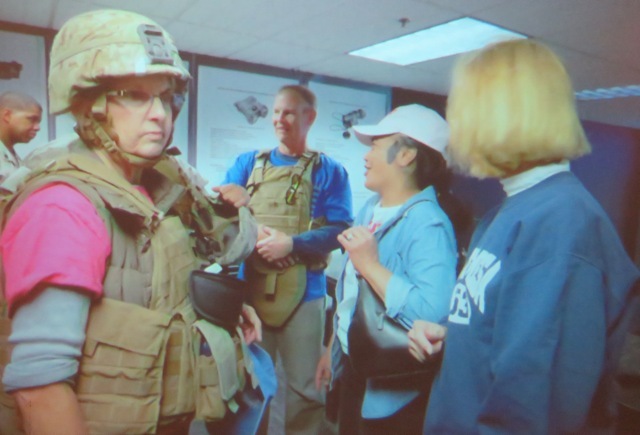 Foley, in response to her, said a Forensic Audit wouldn't get her where she wanted to go. She suggested her information be turned over to the proper authorities for handling. She then observed that Drain had already done a better job than any forensic auditor would do. The meeting ended at 9:52. An observation... Righeimer demonstrated a couple times during the evening that he's a bully. Twice he cut Foley off in mid-sentence, which did not set well with her. Of course, Mensinger just sat there like a lump, reluctant to shut his pal up. We've learned from watching Righeimer over the years that when he reacts like that there is usually someone he knows involved and he's trying to head off a discussion about that person. Watch the tape... His behavior is inexcusable, but not unexpected anymore.